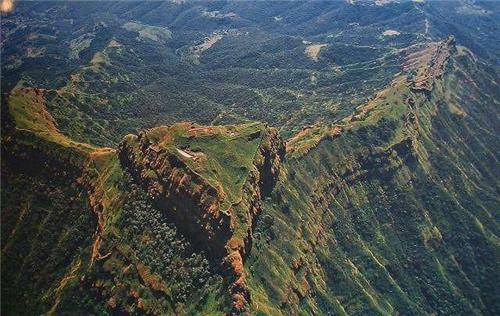 Plunging into Vidarbha region, in the state of Maharashtra, one can find the city of Akola, which lies approximately 584 kilometer to the east of state capital Mumbai and 250 kilometer to the west of Nagpur. Today, Akola is an emergent city and is identified as one of the major cities of Vidarbha region. Stretched-out in an area of about 5,431 square kilometers, embracing a population of over 18 lakh dwellers, Akola is the third largest city in Vidarbha region after Nagpur and Amravati. The denizens of Akola are recognized as Akolekar and the chief language spoken there is Marathi, though Hindi, English and Urdu are also used. Akola is delimited on the north and east by Amravati region, on the west by Buldhana region and on the south by Washim region.Akola has incredibly good grain market, oil mills, pulses mills and is well-known for production of cotton. The IT sector is also on the rise. The city is also acknowledged for its affluent cultural activities like traditional music, religious studies, literature, theater and sports. The present Akola district, earlier formed part of the Nizam’s territory. The Nizams lost their foot over the dominion and it was doled out to the East India Company during 1853, in liquidation of the hefty balance due on the Hyderabad contingent as a security for future payment. Akola, christened as cotton-city, is renowned for its cotton production and is the largest cotton-producing district in India. The city is also recognized for its pulses, oil and textile mills. Akola city is endowed with commendable goods transportation and communication system facilities in the form of railways and roads. Moreover, the extension of the electric grid system and establishment of the Paras Thermal Power Station ensuring adequate power supply, have contributed to the industrial advancement of the city in recent years. Akola city is a perfect blend of religions and cultures. Akola encompasses an assortment of religions and their respective ethnicity. There are Hindus, Muslims, Buddhists, Sikhs, Jains, Christians and so forth, in Akola. People here, rejoice variety of multivalued festivals like Eid, Ganesha Chaturthi, MahaShivratri, Vijayadashmi, Buddha Purnima, Makar Sankranti, Diwali, Holi and Baker-id. It is a peaceful city where each citizen respects the beliefs of others. Shivani airport or Akola airport is the domestic airport of Akola city. The airport is 7 kilometer away from the city on NH-6. The adjacent international airport is at Nagpur (250 km) and at Aurangabad, Maharashtra (265 km). Airport Authority of India operates and renovates the Akola airport. Akola railway station has good railway link up with straight trains to Mumbai, Delhi etc. Main railway stations in Akola region with their code are Akola Junction (AK), Paras, Gaigaon, Murtizapur Junction (MZR) and are under Bhusawal - Badnera segment of Bhusawal division of Central Railway. NH-6 runs all the way through Akola from Hazira (Surat) to Kolkata. State highway no. 68 and 69 also surpass the municipal borders. Maharashtra state transport buses are the most economical and commonly used means of transport availed by the people to travel to rural parts of the region. Privately owned, air-conditioned buses run on a daily basis from Akola. The bus regularity is quite good. This service is on hand for cities like Nagpur, Indore, Bhopal, Nanded, Hyderabad, Mumbai, Amravati, Nasik and Jabalpur. Auto rickshaw is also widely drawn on for city transport. In the present scenario, with the appearance of the professional sports education, sports not only enriches the daily life but also plays a significant role in the enhancement of the economy. Sports institutions in Akola, hosts both indoor and outdoor sports. They comprise of both state level as well as national level play-offs. Some of the usually played sports in Akola are Carrom, Football, Cricket, Volleyball, Badminton, Chess, Kabaddi, Hockey, Boxing and so on. ACC (Akola Cricket Club Ground) is the well-known ground for playing cricket in the zone. Akola Cricket Club considers it as its home ground. It has held two Ranji Trophy matches. The first one came in 1983-1984 when Vidarbha played against the Railways and the second spotted Rajasthan as the guest in 1984-1985. Vasant Desai Stadium is a famous stadium for hosting district level events of games like volleyball, sprinting, swimming and so forth. Lal Bahadur Shastri Stadium hosts games like cricket, football etc. It is located near Sundarbai Khandelwal Tower, which is a familiar sight of Akola city. Other major stadiums of Akola consist of Officer’s club, PDKV sports stadium, City sports club. 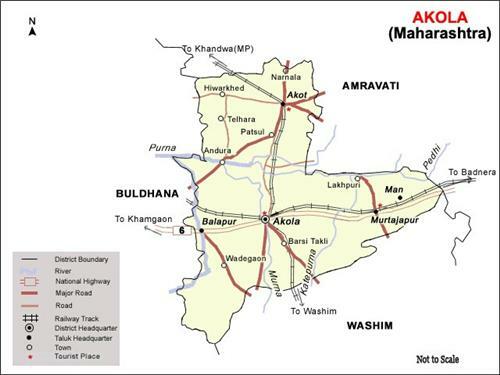 Akola district has an area of about 5,431 square kilometers and population of 18, 18,617 according to the 2011 census. After Nagpur and Amravati, Akola comes third with respect to area in the Vidarbha region. Akola district is surrounded by Amravati district on the north and east, on the south by Washim district and on the west by Buldhana district. The city is about 584 km east to the capital Mumbai and about 250 km west from Nagpur. The Tropic of Cancer also passes through the city. 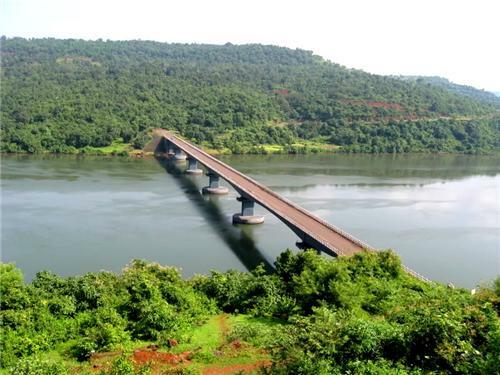 Akola is at a height of 925 ft (282 m), above sea level. It is sited at 20.7o North (latitude) and 77.07o East. It has tropical savanna climate. Annual temperature varies from a maximum of 48o C (118o F) to a minimum of 10o C (50o F) and it becomes scorching during the summer, particularly in May. The days are sizzling, but the nights are comparatively cooler. People put on cotton outfits mainly, due to such climatic conditions. The annual precipitation recorded by and large is 800 mm. Maximum drizzle takes place in the monsoon season, i.e. from June to September, but some downpour can be observed during January and February also. Akola is surrounded by the Melghat Hills, on the North. A number of rivers and their tributaries gush through Akola. There is Morna River, which flows through Akola. The top North section of the city lies within the watersheds of Purna River, along with Shanur River and Aas River. Inflowing from the Amravati district, the Northwest boundary of the district is shaped by Vaan River. Maan River and Morna River draw off the Southwestern portion and the mid-south portion of the city, respectively. Whereas, the Southeast section of the district is drained by Uma River and Katepurna River.